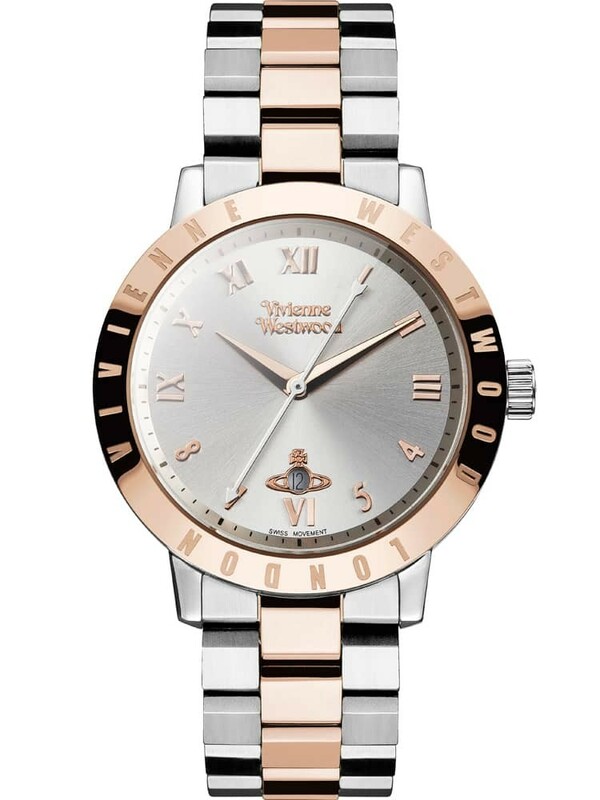 A gorgeous two tone bracelet watch from Vivienne Westwood and the Bloomsbury collection. 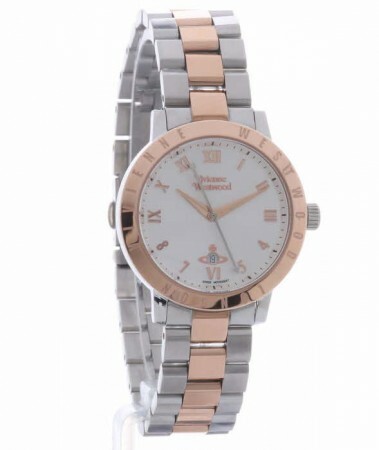 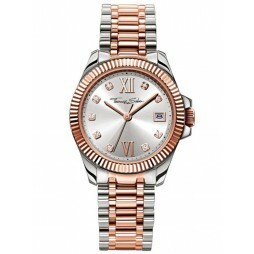 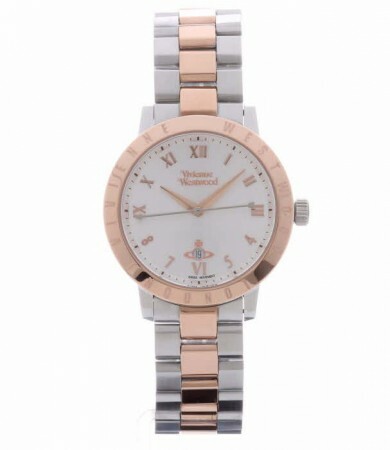 Exquisitely crafted in rose gold plated steel it features a round dial with a stylish contrast of roman numerals and numbers, engraved bezel and a date window at 6 o'clock for extra functionality. 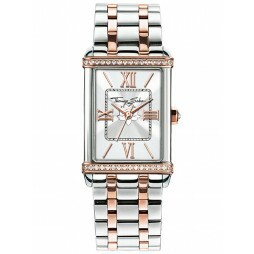 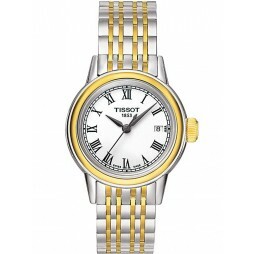 This timepiece will make a wonderful gift for yourself or a loved one.